Irish carrier CityJet has become the first operator of the Sukhoi Superjet 100B-100, an upgraded version of the SSJ100 regional jetliner which is capable of taking off from short runways. 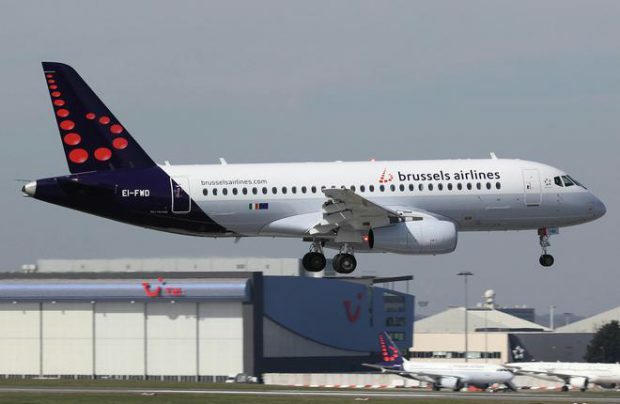 Sukhoi Civil Aircraft Corporation (SCAC) told Russian Aviation Insider that three such aircraft were handed over to CityJet, which is wet-leasing them to Belgian operator Brussels Airlines. Brussels Airlines uses the three aircraft, registration codes EI-FWD, EI-FWE, and EI-FWF, to operate flights to Sweden’s Bromma airport, one of the oldest in Europe, with a runway which is only 1,660 meters long. The B-100 version needs just 1,425 meters of runway for landing at maximum weight, and a 10% shorter takeoff distance than the baseline version. The SSJ100B-100 is equipped with SaM146-1S18 engines, which are also used on the Superjet’s long-range version. The B-100 variant was certified in Russia in December 2015 and by EASA in May 2017. SCAC says the B-100 is an interim model ultimately leading towards the Superjet’s ability to operate into London City airport, where CityJet is based. For flights into and out of London City, aircraft must be able to meet the airport’s rather strict limitations, including a 1,508-meter-long runway at takeoff and a steep glideslope angle on approach to land. London City also has stringent noise restrictions. The SSJ100B-100 has already demonstrated that it is in full compliance with similar noise limitations at Bromma, which stand at 89 dB.